After a shocking attack, Rowena Kinnaird is desperate to escape her family and her ex-fiance. She finds an unexpected protector in the Duke of Nottingham, but will she ever be able to trust him--let alone fall in love--when his custody of the Fire Eyes jewels endangers her once more? 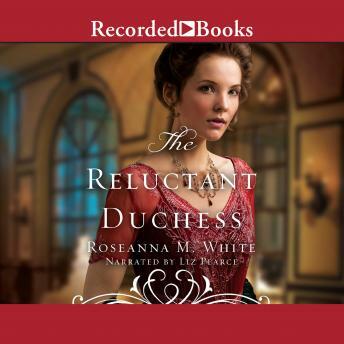 A Riveting Edwardian Series Set among Britain's High Society Lady Rowena Kinnaird may be the heiress to a Highland earldom, but she has never felt good enough--not for her father, not for the man she thought she'd marry, not for God. But after a shocking attack, she's willing to be forever an outcast if it means escaping Loch Morar. Brice Myerston, the Duke of Nottingham, has found himself in possession of a rare treasure his enemies are prepared to kill for. While Brice has never been one to shy away from manor-born ladies, the last thing he needs is the distraction of Lady Rowena, who finds herself in a desperate situation. But when Rowena's father tries to trap Brice into marrying his daughter, Brice makes a surprising decision. Rowena wanted to escape the Highlands, but she's reluctant to marry a notorious flirt. And when she learns that Brice is mixed up in questionable business with a stolen treasure, she fears she's about to end up directly in the path of everything she was trying to avoid.